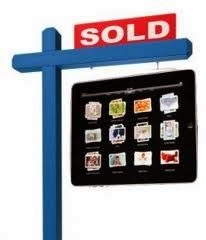 More and more of today’s realtors are learning the true value of technology in their business. Gone are the days of only networking at social gatherings and handing out business cards. Today it’s all about reaching the largest target audience as possible and real estate has become as much “show” as it is “business”. Back in the day the most effective advertising tool was as simple as an ad in the real estate section of the local newspaper. A lot has changed and now the internet has become the new frontline in the battle for clients. Thanks to new technology not only can home buyers house search from the comfort of their own home computer but mobile devices including cell phones, laptops and tablets put everything within their reach, even when they’re on the go. Best of all technology has now allowed homes for sale to be viewed from anywhere in the world and that can mean big business in certain areas of the country. No longer do real estate agents find themselves bound to the office. Now it is possible to access files, upload information, contact clients and more from anywhere and that means more “face time” with clients. Time has always been the #1 enemy of all realtors. Sometimes we get so bogged down in paperwork and other administrative duties that it’s almost impossible to make appointments with the ever important client but those days are long gone. Now we can do most of those tasks from almost anywhere and that is a huge advantage. It’s hard to show a new home from an office chair! MLS’s have been around a long time but today is different. Now we can use these services in conjunction with the internet to allow perspective buyers to “window shop” at their convenience. The internet has become a 24 hour marketplace for home buyers and who doesn’t like shopping? As I had mentioned earlier the days of only meeting large groups of people at the local county fair have ended. With today’s numerous social networking sites available to all “introducing” ourselves to the minions has become a 24 hour possibility and realtors are taking full advantage of this situation. Pictures and information of homes for sale are available at the click of a mouse and realtors have the opportunity to present themselves as “real people” and not just a business fixture. It’s a great way for home buyers and sellers to find an agent that is well suited for their needs. There are a lot of software packages geared towards realtors but none more impressive than the new virtual staging software on the market. These nifty little bundles of joy can do plenty and one of my favorite capabilities is to be able to take pictures of an empty house and fill it with furniture and all the extras! What better way to help your client envision their perfect dream home? I can only imagine what’s next in the ever emerging world of technology but I’m sure that it will continue to make all of our hectic lives just a little bit easier!